With a crucial House of Commons vote on the UK Government’s Brexit plan looming, what would exiting the European Union without an agreement mean for exports of Scotch whisky? Richard Woodard investigates. Tomorrow, Tuesday 15 January, UK Members of Parliament are due to vote on the Government’s ‘Brexit deal’ – the terms of the UK Withdrawal Agreement from the European Union (EU). If they back Prime Minister Theresa May’s plan, the UK will exit the EU at 11pm on 29 March. However, at the time of writing, they seem very likely to vote it down – and this could have serious consequences for exports of Scotch whisky. Backing the PM’s plan would, among other things, secure a transition agreement with the EU, meaning that little would change before the end of 2020 – in other words, buying time for the UK to shape its long-term future trading relationship with EU member states. But rejecting it – assuming the Government cannot come back with a satisfactory alternative plan within three days – could mean that the UK crashes out of the EU on 29 March without a deal. That means trading on WTO rules (something no other significant trading partner of the EU does), and the reinstatement of border checks, severely impacting the transport of goods between the UK and the EU. EU markets are vital for Scotch. Whatever the lure of the huge US market and the emerging destinations of Asia and Latin America, the EU accounted for almost 40% of Scotch whisky exports by volume in the first half of 2018; and just over 30% by value. In a full year, that’s well over £1bn of revenues. The industry’s major stakeholders – leading producers Diageo and Pernod Ricard, plus trade body the Scotch Whisky Association (SWA) – were pro-Remain in the run-up to the 2016 EU referendum. Almost three years on, both Diageo and the SWA are now backing the PM’s deal, while Pernod declined to comment. ‘We are pleased the UK has reached an agreement with the EU,’ said a Diageo spokesperson. ‘As with any complex negotiation, compromises will not please everyone, but it is now vital for business confidence that Parliament votes in favour of this deal. And if the deal is voted down? Whatever the outcome of the vote, says Betts, it is ‘imperative’ that the government and parliamentarians get their heads together and avoid a no-deal Brexit – which would ‘damage our industry by forcing cost and complexity into the production and export of Scotch whisky’. ‘Cost and complexity’ – but what exactly does that mean? The SWA has identified three main areas of concern: labelling, EU trade deals, and customs and excise processes. To export a bottle of Scotch whisky to an EU country, you need an EU address on the label – either that of the producer or that of the importer. At the moment, many companies list a Scottish address – but, after 29 March, they could well have to feature the address of an EU importer or importers. Betts explains: ‘A no-deal Brexit could necessitate at least two different label templates from March: one for products sold in the UK; and at least one – in some cases, many more than one – for products destined for the EU. The result, she adds, could be the production of ‘thousands more SKUs at very significant cost’, with the issue also impacting other UK and EU food and drink exporters. 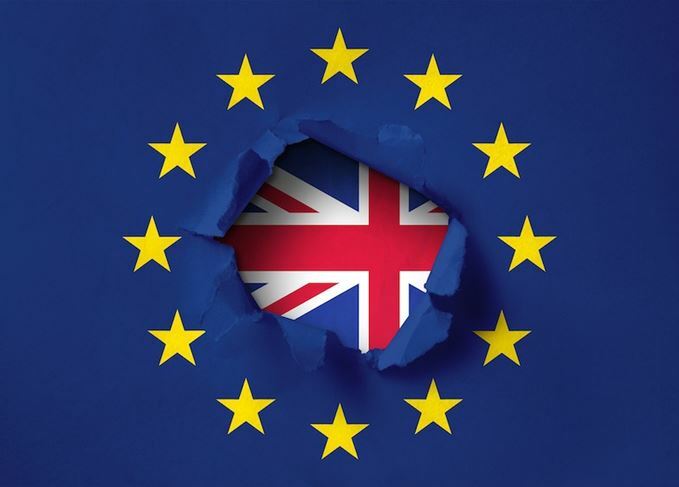 The UK has indicated that it will grant a grace period of six months to help companies adapt to the changes – but no such assurance has yet been reciprocated by the EU. ‘We hope common sense will prevail,’ says Betts. ‘Under a no-deal Brexit, we calculate the loss of these trade benefits would immediately cost the industry about £50m annually in tariffs, without accounting for the long-term impacts on market progression,’ she adds, calling for ‘swift’ action from the government to conclude trade deals with these countries. At the moment, the UK has access to the EU Excise Movement and Control System (EMCS) – a computerised system facilitating the easy movement of Scotch whisky across Europe, with excise tax only paid once it arrives at its destination market. In the event of a no-deal Brexit, this would cease. ‘A no-deal scenario would also mean that export and import declarations would be required for customs clearance at the UK-EU border,’ says Betts. ‘This would be a significant change to the straightforward way in which Scotch whisky enters the EU today, and it would add cost and complexity to those movements. Other effects are less easy to measure and predict but, in an interview with The Herald, Inver House Distillers MD Martin Leonard warned that the threat of a no-deal Brexit was ‘already starting to distort the supply chain, with some finished goods [whisky] being moved out to market in advance of the March deadline, and some packaging components brought in on the same basis’. ‘As overall demand is unlikely to change, this will potentially create peaks and troughs in manufacturing and logistics, which could impact on industry efficiency,’ he added. Beyond the cool analysis of cause and effect, there’s anger. ‘The world is crazy,’ says Billy Walker, industry veteran and MD of GlenAllachie distillery, who was pro-Remain, but is now backing the Prime Minister’s deal.